HomeLife StoriesLulu Adams (1900-1980/1990) and Albert Adams, named Albertino (1889-1948) – Entertainers in Dark Years. Lulu Adams (born Louise Cranston) was an English circus performer, and one of the first and few female clowns of her time. She came from a long-line of English show people but was born in Malines, Belgium, in 1900 while her family was touring. 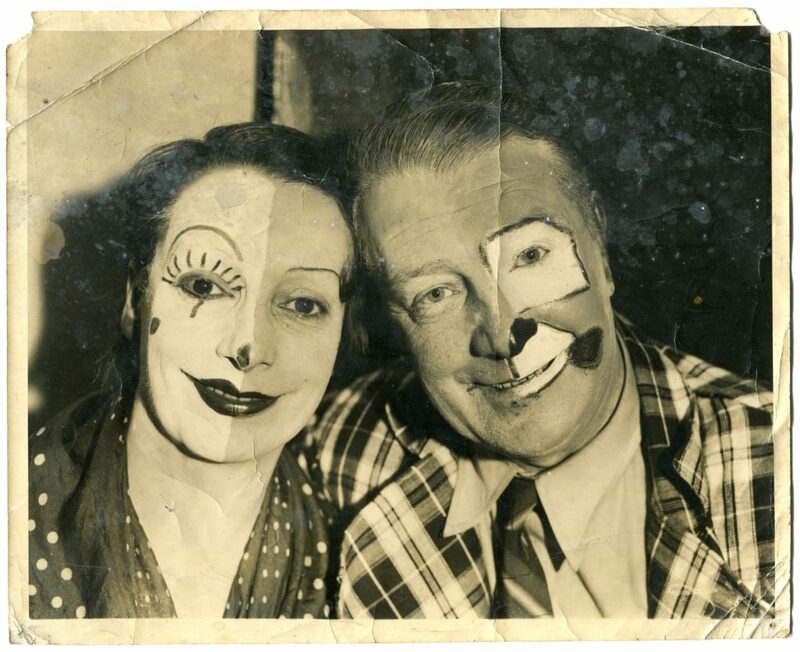 In 1927, while travelling with her family act, she met and married Albert Adams, a well-known clown, and they soon began a famous duo act as ‘Lulu and Albertino’. In 1939, when the war broke out in Europe, Lulu and Albertino were touring the U.S. with the Ringling Brothers. As Albertino had been a major in the First World War, he was recalled to the British Army Reserves and both husband and wife had to leave the U.S. Nevertheless, upon their return to the UK, Albertino was deemed unfit for the front and was released from duty on medical grounds. Instead, Albertino joined the Entertainment National Service Association (ENSA), entertaining troops throughout the war. As an example of the couple’s wartime services, the two appeared in a miniature circus in a small zoo in Chessington, Surrey (UK). After that performance, they were engaged on a permanent basis by that circus, as a central attraction. In addition to this, during the war, Lulu also joined the British Red Cross as a nurse while her husband toured military stations across the country with ENSA. On Wednesday, April 6th, 1948, Albertino died on a live radio show in New York, while the couple were promoting their U.S. tour. Lulu continued her clowning career after her husband’s death and spent the final years of her life in her home-town of Brighton (UK), selling hand-crafted dolls and art objects. She is remembered as an influential female clown and an all-round artist, that brightened up the dark years of Second World War in Britain. Source: Information collated from the Lulu Adams Collection, courtesy of the National Fairground and Circus Archives, University of Sheffield.